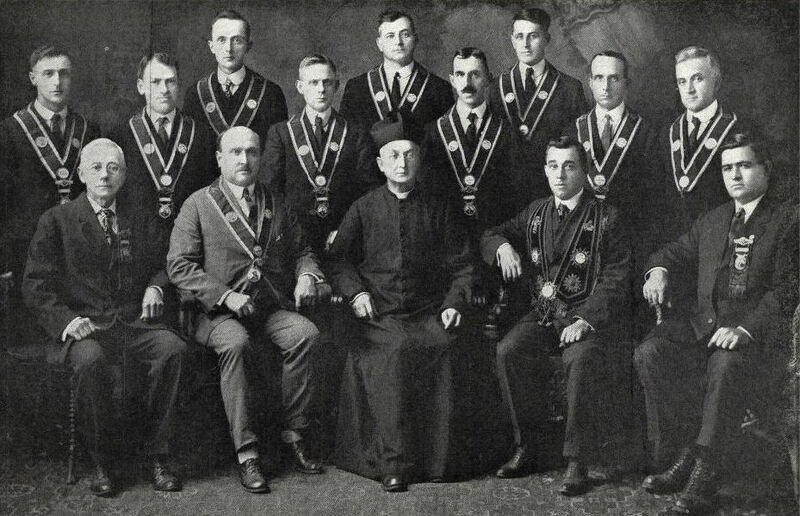 Comments: E. Dupaul (Nee: ) | Southbridge MA United States | 1901-1920 | Comments: Officers of the Conseil Jacques-Cartier (French Canadian) club of Southbridge, Massachusetts. Photo taken in 1919. Top row, from left: A. Trahan, A. Durocher, E. Dupaul. Middle row, from left: T. Poirier, J. Casaubon, J. Lariviere, J. Tremblay, H. L'Homme, N. Robidoux. Seated, from left: N. Duquette, Dr. J.G.E. Page, Reverend L.O. Triganne, H. Robida, S. Martel.